He was born in 1938 into a distinguished musical family. John came into prominence in 1964 when his Sonata for Violin and Piano was the first and only winner of the chamber-music competition of the Spoleto Festival in Italy. Support from various foundations followed, as did important commissions. Perhaps the most important symphonist of his era, Corigliano has to date written three symphonies, each a separate world onto itself. In 1991, he made his operatic debut with The Ghosts of Versailles, which succeeded brilliantly both with critics and audiences. A Dylan Thomas Trilogy combines three earlier settings of this poet into a memory play in the form of an oratorio. Equally active as a creator of chamber music, Corigliano’s catalogue includes virtuoso showpieces for solo piano, a suite of themes for cello, piano and orchestra, as well as the unique Chiaroscuro for two pianos, tuned a quarter-tone apart. That same period saw him complete the film score to the motion picture “The Red Violin”, which was awarded Best Original Score at the Academy Awards. Of late, he has ventured into the cabaret, setting Mark Adamo’s lyrics for William Bolcom and Joan Morris. 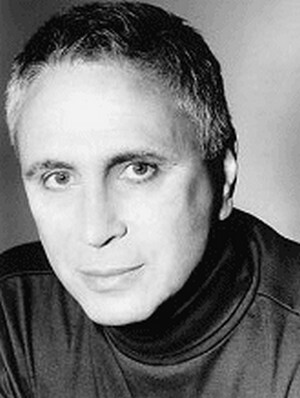 John Corigliano serves on the faculty at the Juilliard School of Music, and holds the Distinguished Professor of Music at Lehman College. He lives in new York City and in Kent Cliffs, New York. John wrote the new composition for the 6th Dranoff International Two Piano Competition in 1997. The work is entitled “Chiaroscuro”.